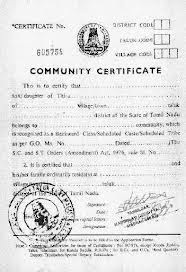 can community certificate be issued for a person with no caste? I want my mother community in my certificate. How to apply?